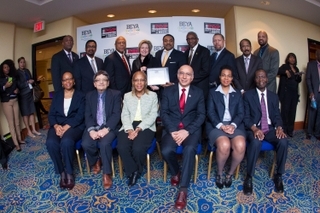 NEWPORT NEWS, Va., April 22, 2015 (GLOBE NEWSWIRE) -- Huntington Ingalls Industries (NYSE:HII) was recently named a top supporter of historically black colleges and universities (HBCUs) by Career Communications Group. To be listed as a top supporter of HBCUs, companies and government entities are selected by the deans of engineering programs at the 15 HBCUs accredited by the Accreditation Board for Engineering and Technology. Deans consider these organizations' school support, including infrastructure modernization and enhancement, research and mentorship projects, participation on advisory councils, faculty development opportunities, scholarships, student projects, stipends, co-ops and career opportunities. HII was also named one of the top 20 industry supporters in 2014. 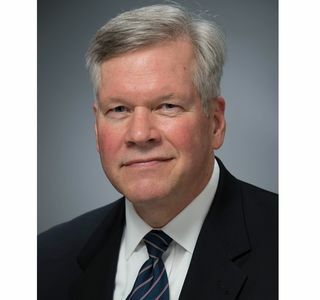 "We are honored to be named a top supporter of HBCUs," said Bill Ermatinger, HII's corporate vice president and chief human resources officer. "As a company, we take advantage of every opportunity to support HBCUs and their engineering programs. We participate in the Black Engineer of the Year Awards (BEYA) conference and often hire HBCU engineering students who have completed internships and co-ops with the company. Students graduating from HBCU engineering programs represent the next generation of the engineering workforce, and we at HII take pride in helping develop this next generation of leaders." HII values diversity and sponsors the BEYA STEM Global Competitiveness and Women of Color STEM conferences. During the 29th annual BEYA STEM conference in February, 10 HII employees were recognized for advancements in science, technology, engineering and math (STEM) fields. Likewise, in March, HII's Ingalls Shipbuilding division was recognized at the second annual Our Mississippi Honors Gala for its diversity and inclusion practices. Career Communications Group publishes magazines, produces syndicated television programs and organizes conferences, including the BEYA and Women of Color STEM conferences, to promote careers in STEM fields. A list of the top supporters of HBCUs will be published in Career Communications Group's U.S. Black Engineer and Information Technology magazine.